Experiences of parenting a child with Autism Spectrum Disorder (ASD) have mostly been studied in relation to hardship. 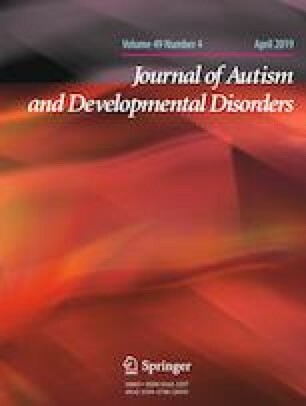 The current study explored personal growth experiences of Israeli parents to children with ASD, specifically in relation to Tedeschi and Calhoun’s crisis-related growth model. Nineteen parents were interviewed, and qualitative categorical content analysis was performed. Four major growth themes emerged: Empowerment and personal strength, Existential perspective/spiritual-emotional experience, Interpersonal and Expertise, professional or political involvement. Themes were largely consistent with the crisis-related growth model, with some being unique to the current subject of inquiry. Findings indicated growth might occur differently in different cultures. Clinically, with some parents, the focus regarding the parenting of their child with ASD should be shifted from adjustment to growth. We are grateful to our participants for openly sharing their personal experiences, and to Prof. Rivka Tuval-Mashiach and Dr. Yael Golan for their methodological advice. MYS and OG designed the study, MYS collected the data and analyzed it with OG. EWB and OG wrote the final manuscript. All authors commented on the manuscript and approved it. Authors EWB, MYS, and OG declare that they have no conflict of interest. The study was approved by the ethics committee of the department of psychology, Bar-Ilan University. All procedures performed in studies involving human participants were in accordance with the ethical standards of the institutional and/or national research committee and with the 1964 Helsinki Declaration and its later amendments or comparable ethical standards. A general explanation regarding the study and its goals. Tell me a bit about you and your family, so I can get to know you better. Each child in the household: Age, Occupation, Diagnoses received. Relationships in the family: Marital, Siblings, Parents and Children. How would you describe your parenting experience? How did this parenting experience influence the interviewee’s life, personality and the choices he has made? How did the encounter with the child’s ASD affect the interviewee’s thoughts and feelings with regards to himself, the future and his surroundings in general? Was there a specific part of it that was more challenging than others? The parenting experience of undiagnosed siblings: Similarities and differences, how do the different types of parenting correspond with one another? Think of parenting as a process—how would you describe the process you went through? Thoughts and emotions at time of receiving the diagnosis and today. Thoughts and expectations with regards to parenting—before the child’s birth, after the diagnosis, and today. To what extent do you view parenting a child with ASD as something that has promoted growth in your life? How do you see this growth? What role do these growth aspects play in your parental experience? Have you experienced personal growth or empowerment resulting from this parenting experience? How would you characterize this process? How does it affect your life? What do you suppose enabled this growth? Could you identify certain characteristics of your parenting experience to your child with ASD that contributed to growth? How did you experience the encounter with your child’s ASD? Have you experienced a change in personality, views or principles due to this encounter? If not, how did your views and principles help you in coping with this parenting experience?